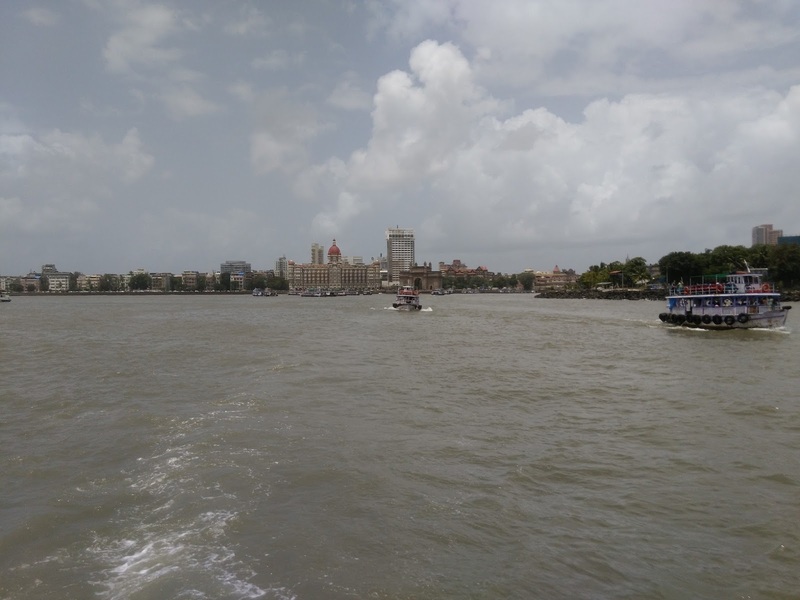 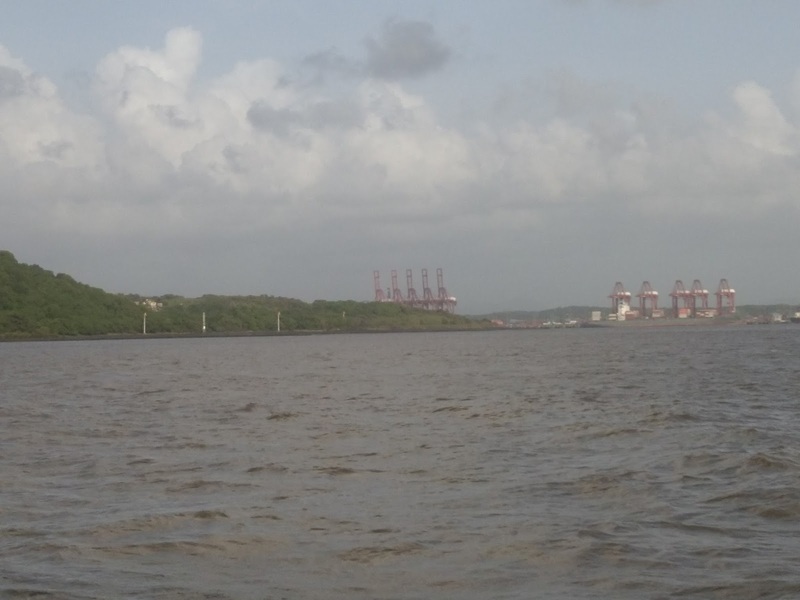 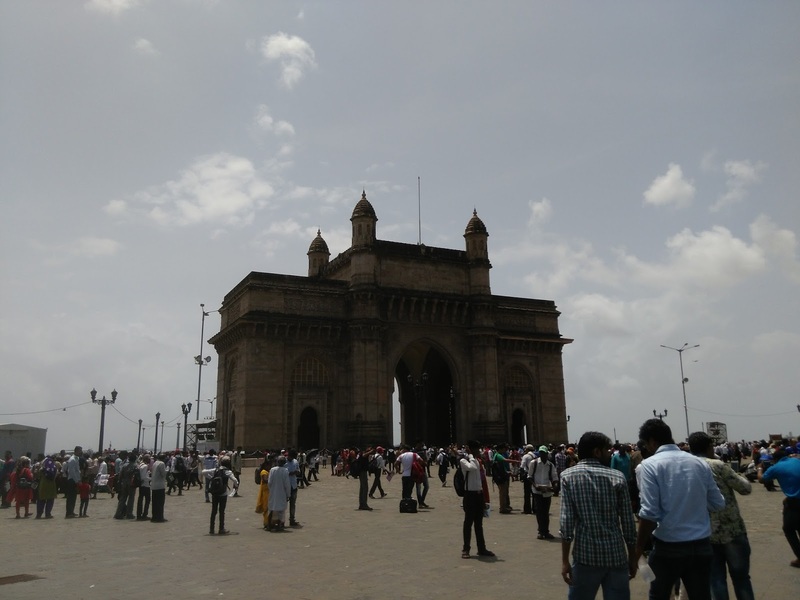 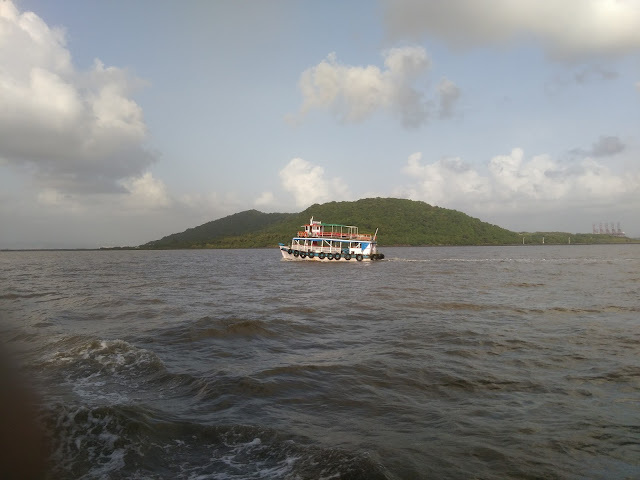 After about two months of boredom and an eager urge to travel, we took a couple of days leave, hopped onto a small cute ferry and began our journey from the Gate of Mumbai to an island called Elephanta Island or Gharapuri. 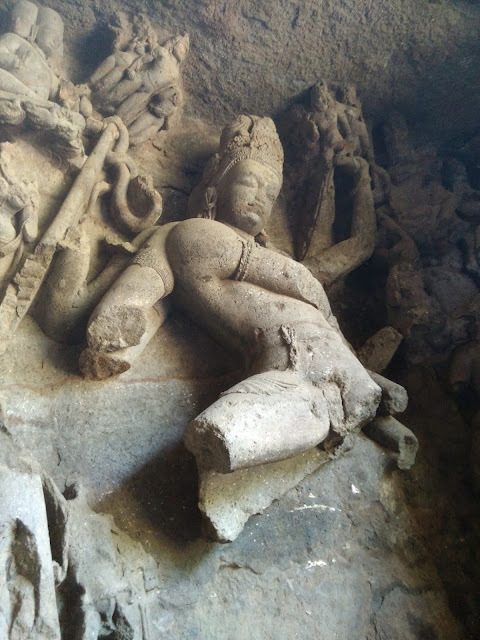 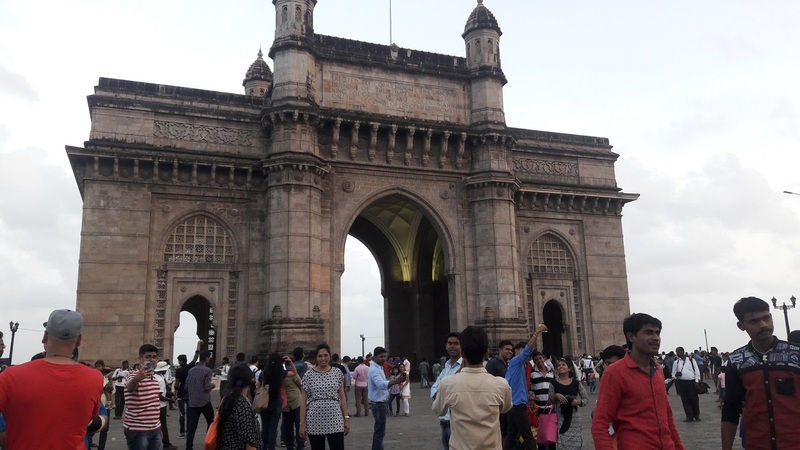 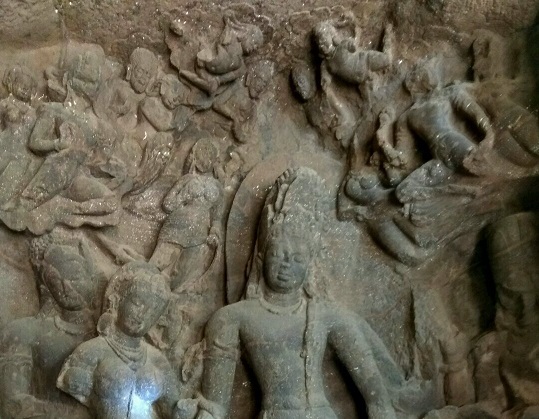 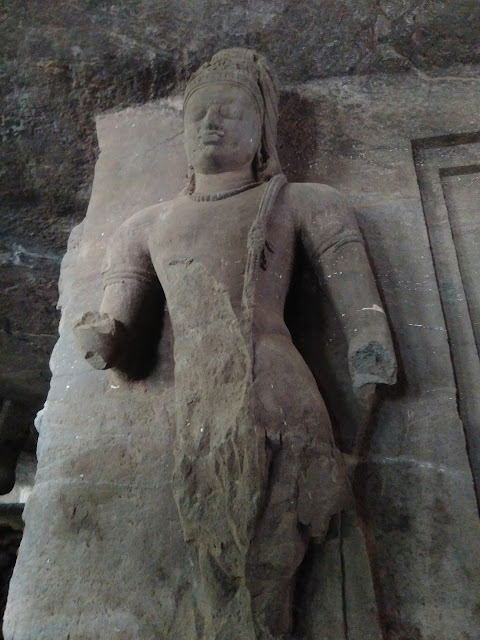 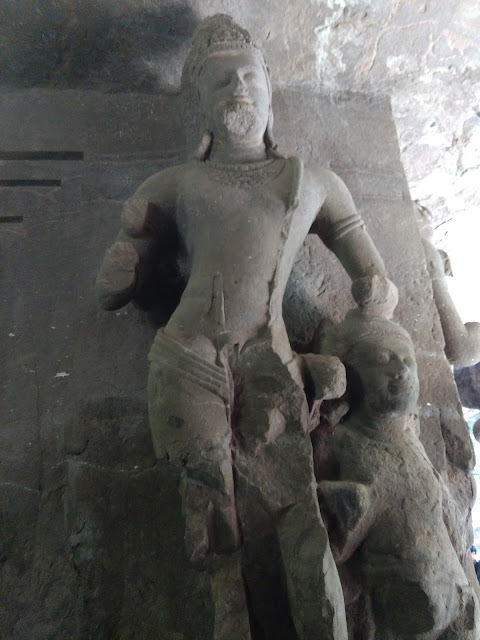 This spectacular island located on an Arm of Arabian Sea is a home to beautiful caves called Elephanta Caves, the caves which are assumed be built between 5th to 8th century and by whom…., well that’s still a mystery. With winds gushing our mind , our hearts filled with known and some unknown sequence of events that was about to take place, the splendid views of the mountains our journey from the Gate Way of India and Taj Mahal Palace Hotel to this enchanted Island left us completely spellbound. 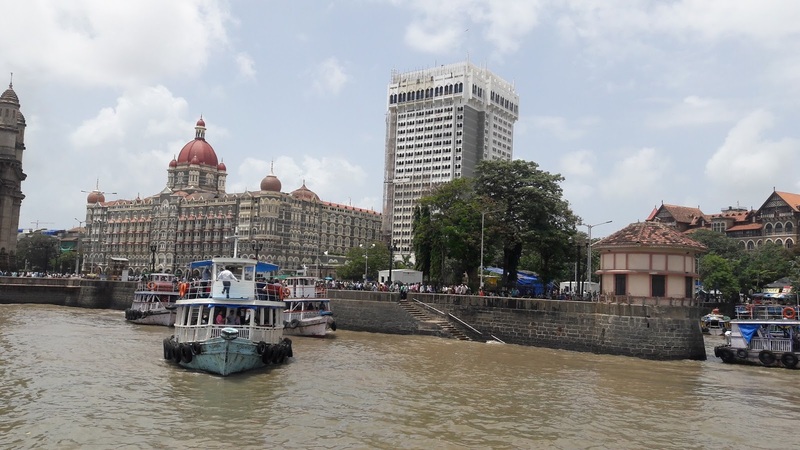 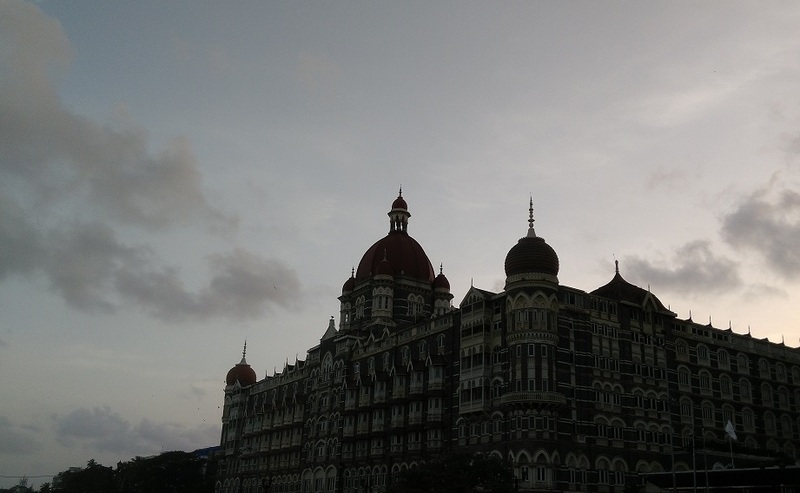 The beautiful Taj Mahal palace hotel as seen from our ferry. 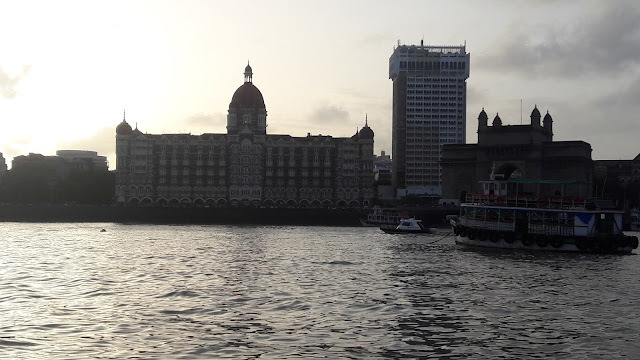 Stunning unforgettable views of the mountains, with huge ships passing besides us and just sitting and relaxing in the ferry had its own charm,aura and subtle emanation. 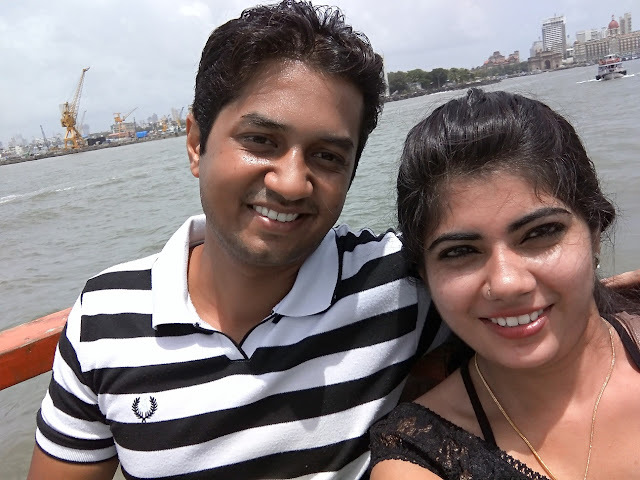 Enjoying our sweet leisure time clicking pictures. 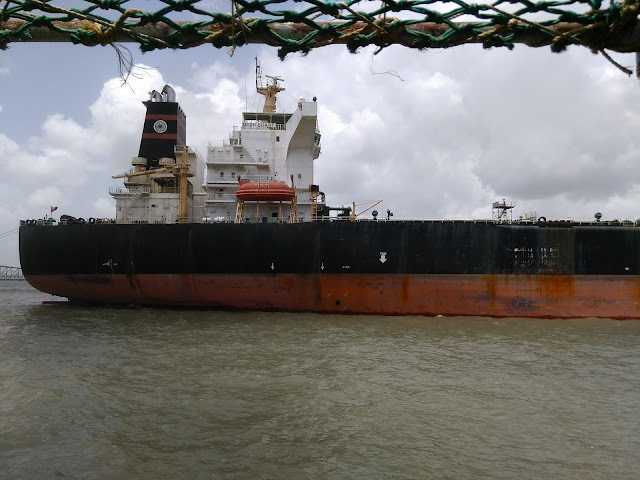 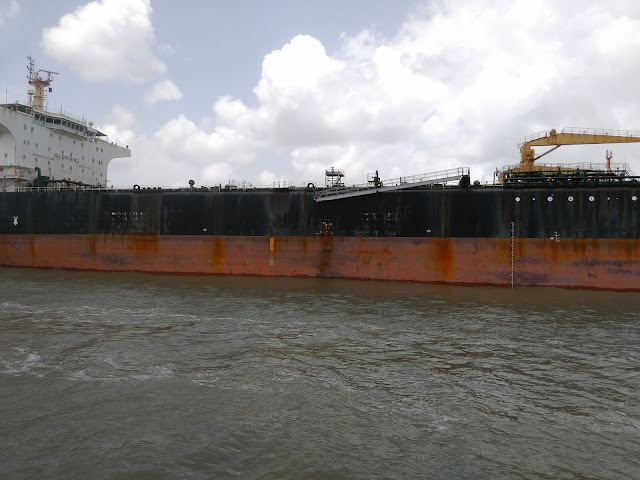 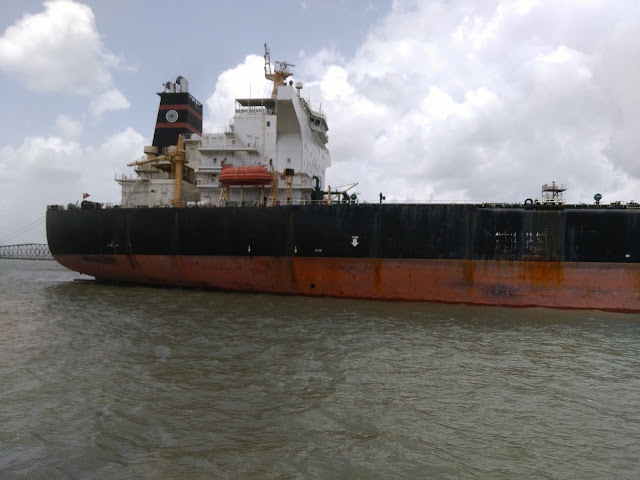 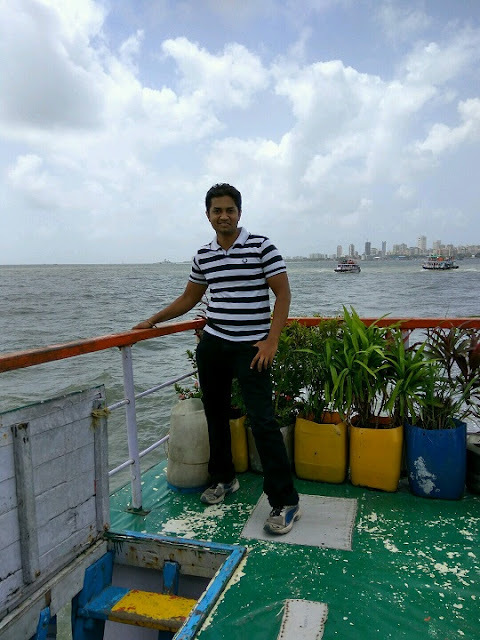 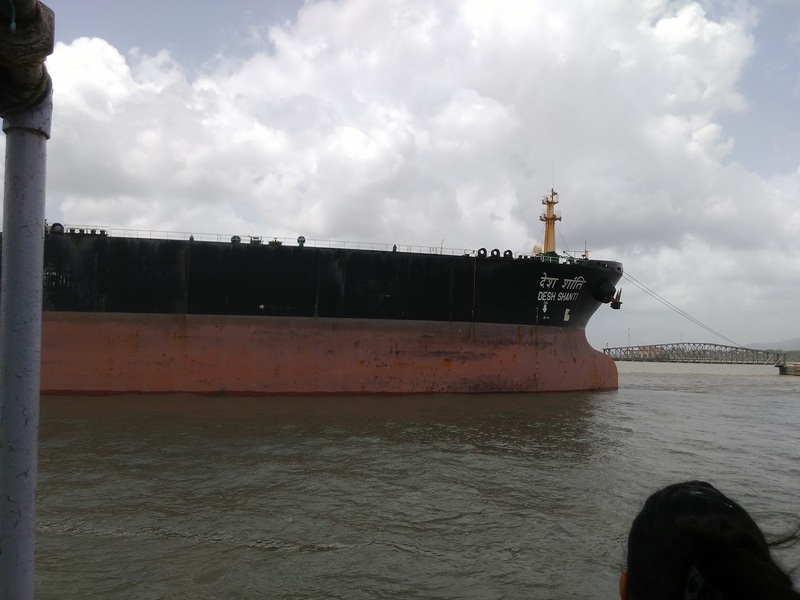 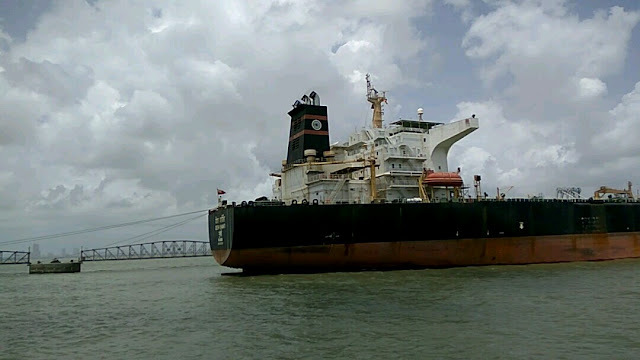 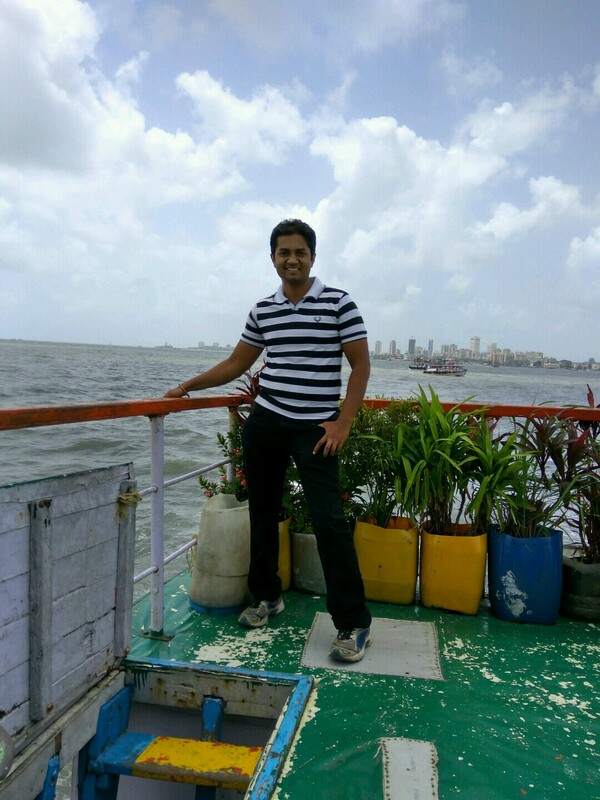 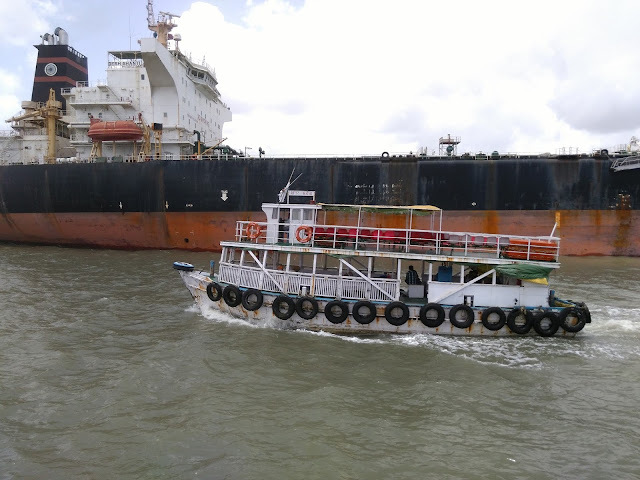 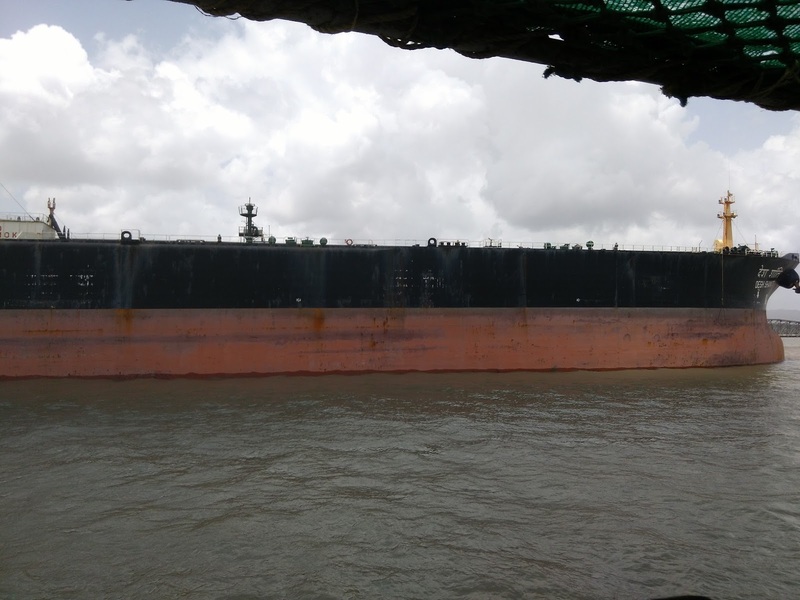 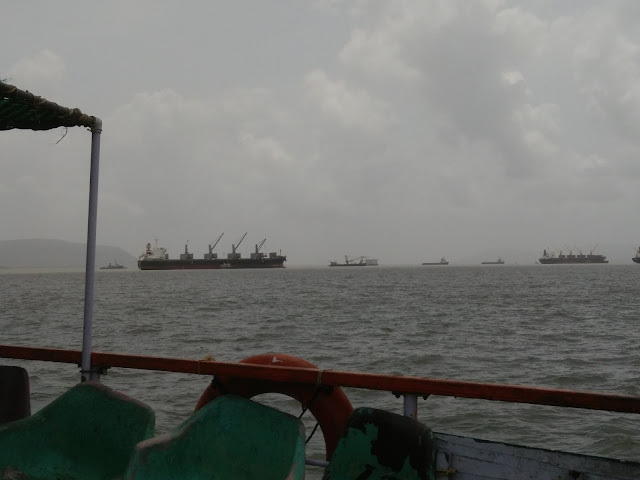 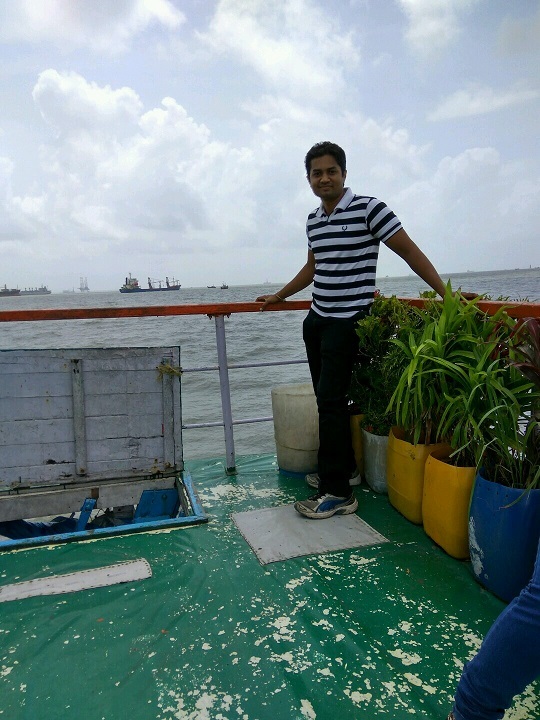 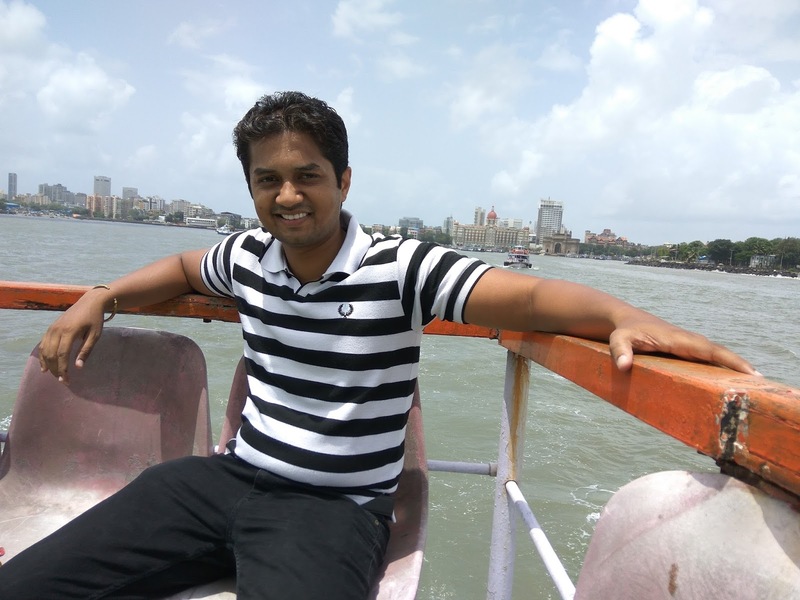 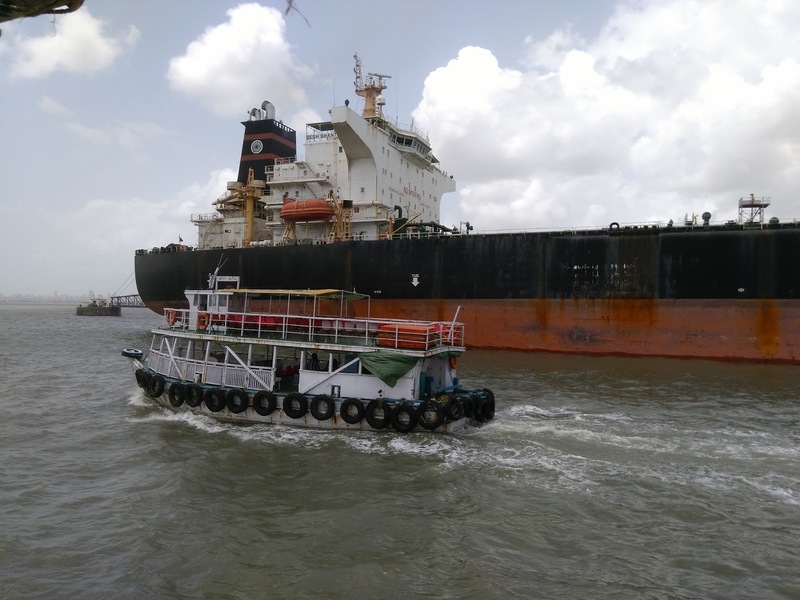 When we reached Elephanta we knew that the real fun was just about to begin and what we experienced in this ferry was only a vignette of our trip. 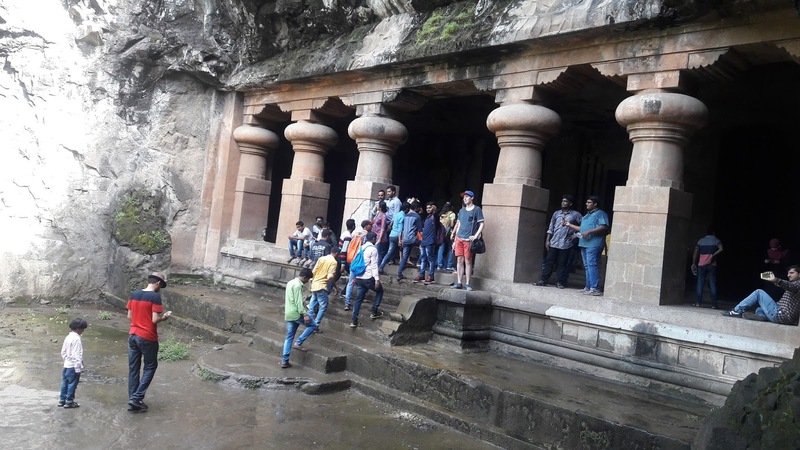 As soon as we reached this enigmatic island, a beautiful toy train took us to spectacular network of caves which are beautifully sculpted and are mostly of Lord Shiva and Parvathi. Amazing views offered while visiting in the toy train. 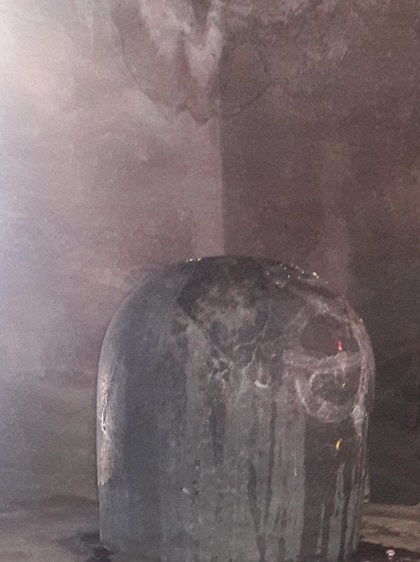 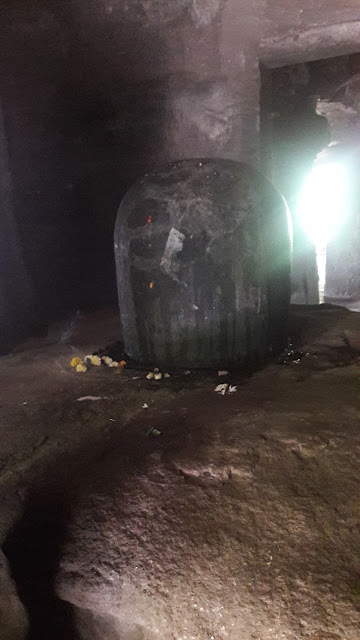 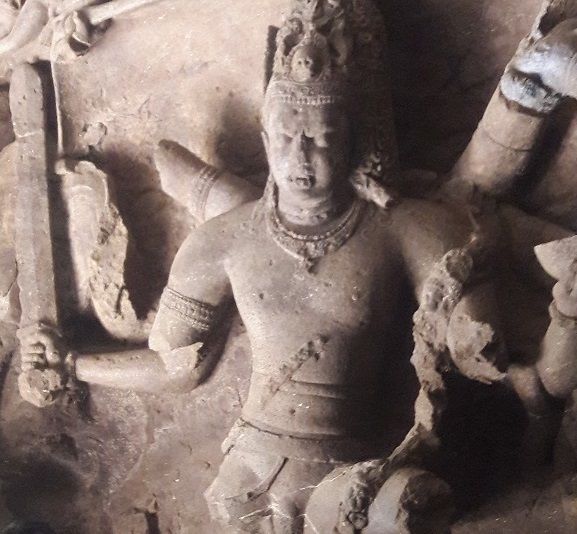 The first main cave also called Shiva cave had many different idols of Lord Shiva and Parvathi which unfortunately was damaged by Portuguese who ruled at that time. 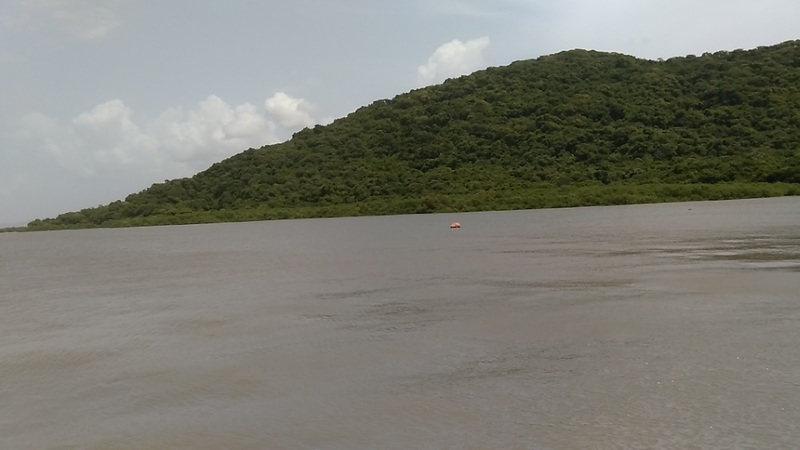 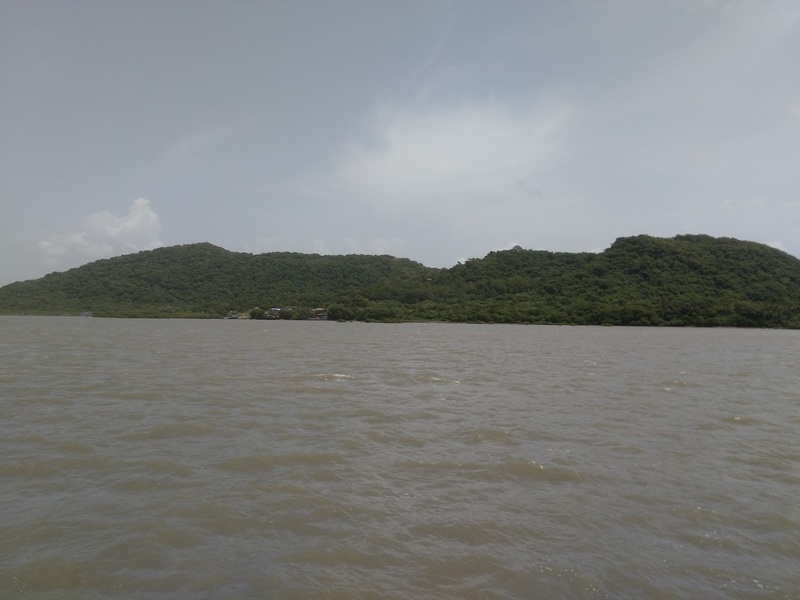 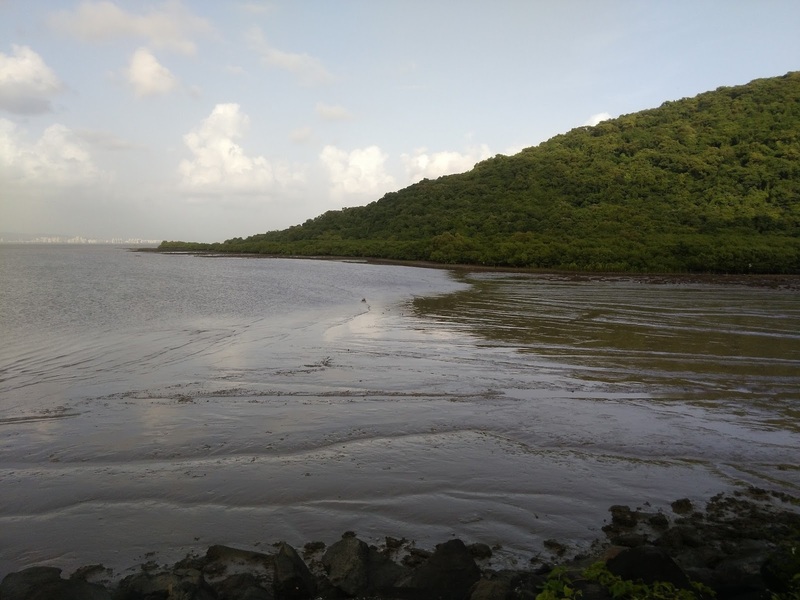 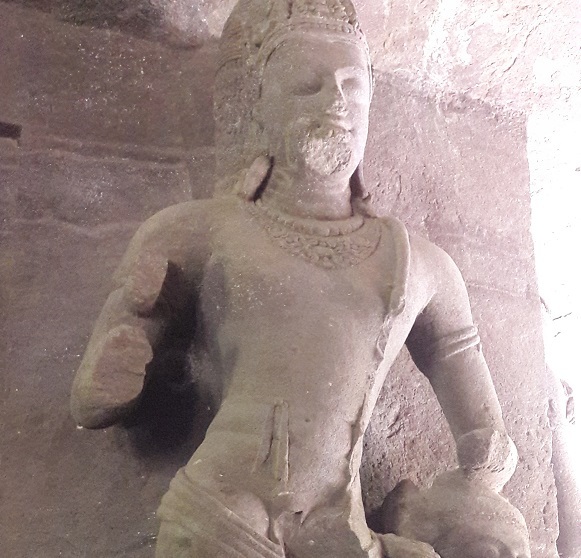 The Portuguese named this island as Elephanta island as there was a huge statue of elephant that was then installed on a mound, a short distance east of Gharapuri village. 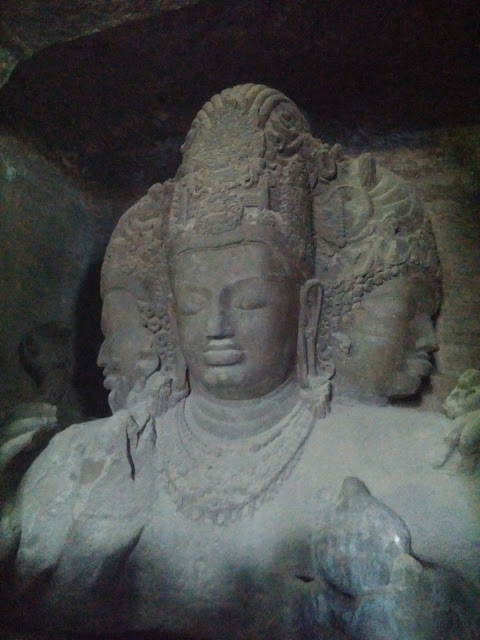 This sculpture is installed at Jijamata Udyaan zoo in Mumbai. 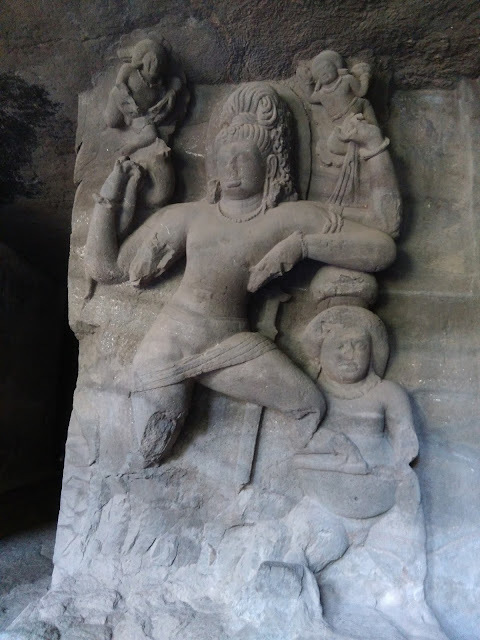 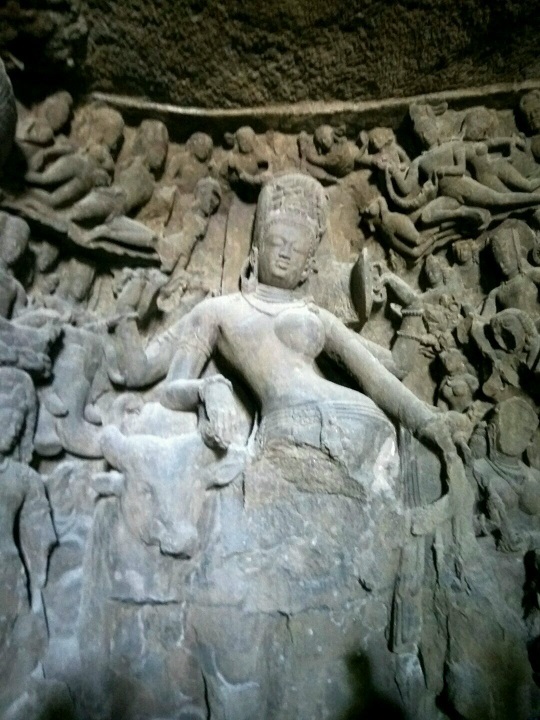 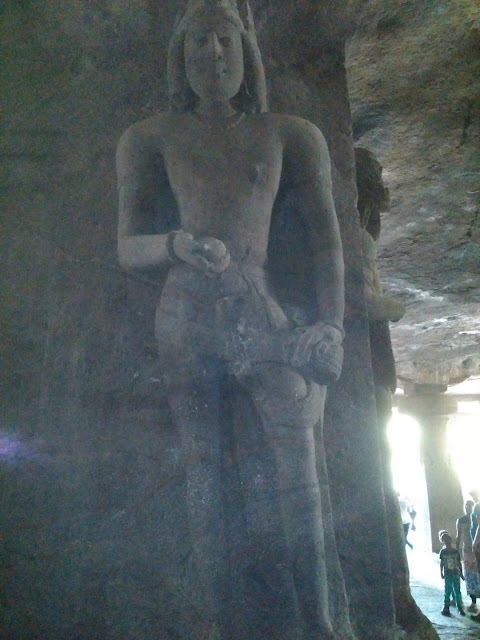 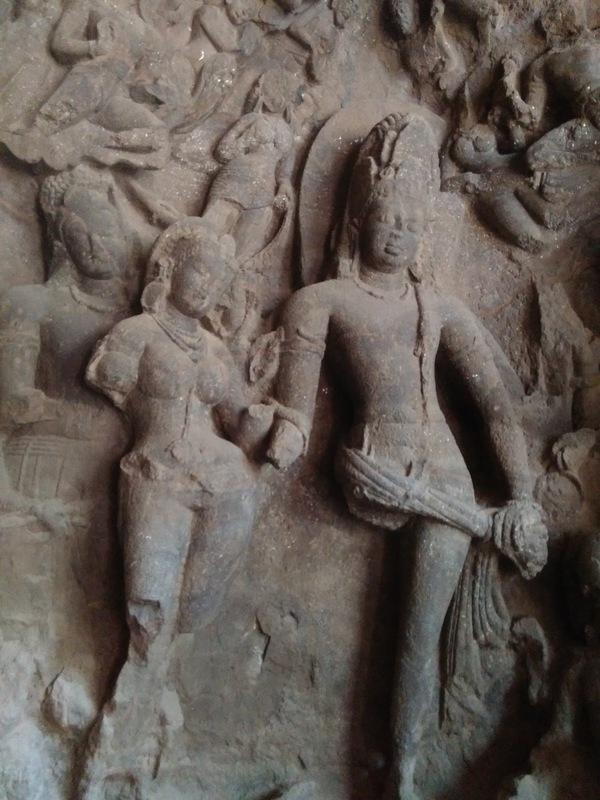 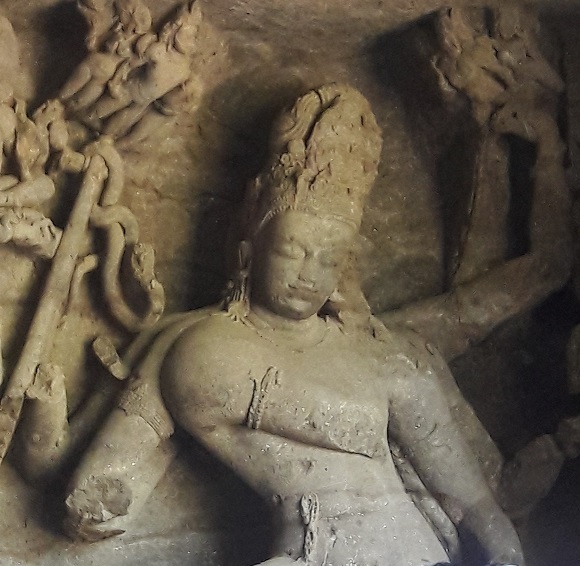 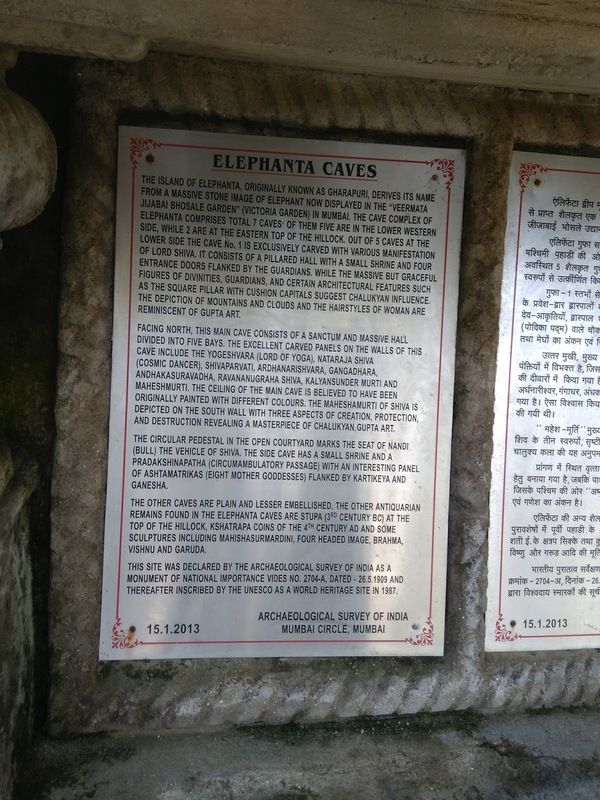 There are total 5 Hindu Caves of which the first and the second cave are the star attractions of the elephanta caves. The beautiful image of three headed lord Shiva. A perfect paradise for historians, much lies in the history of these caves that still needs to be discovered and known. 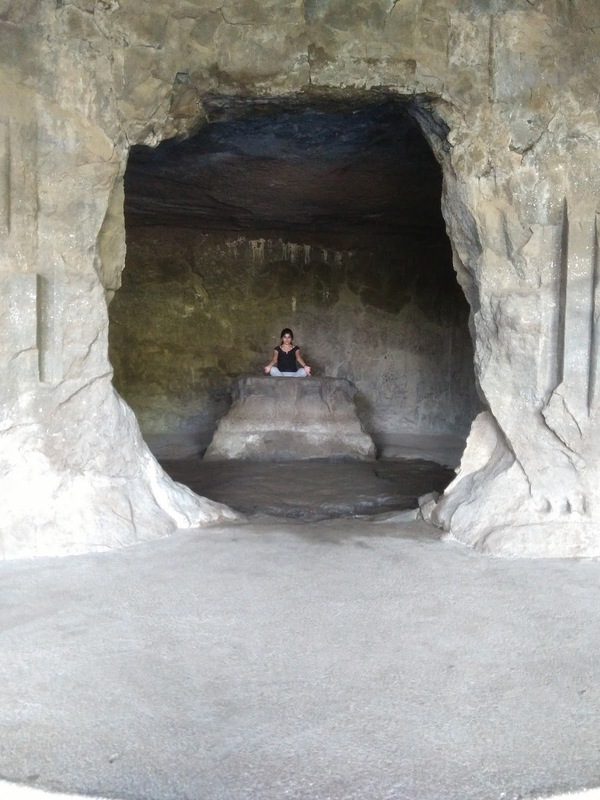 During pre- historic medieval ages these caves seemed to be a perfect abode for all the saints because of the peace, calmness and serenity that it offered. 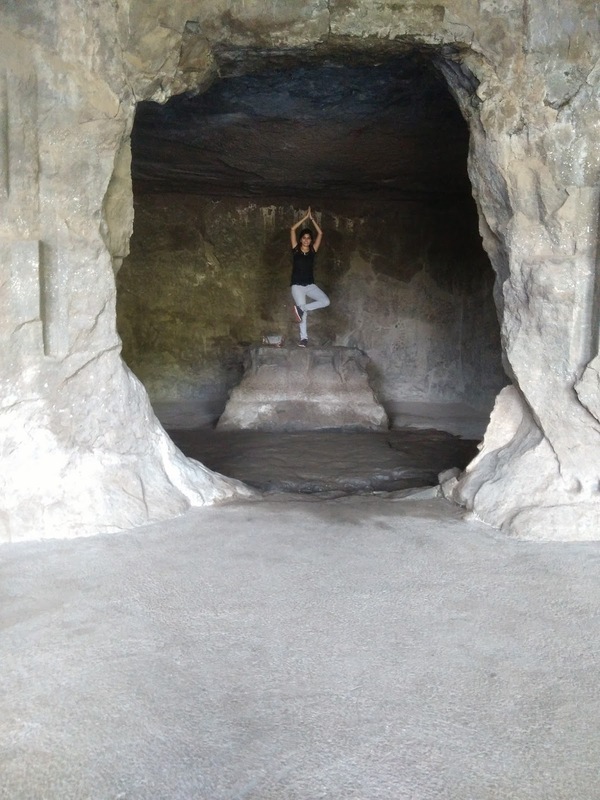 There were many different designated places inside these cave’s where the sadhus ,the holy men would spend hours meditating and worshipping. 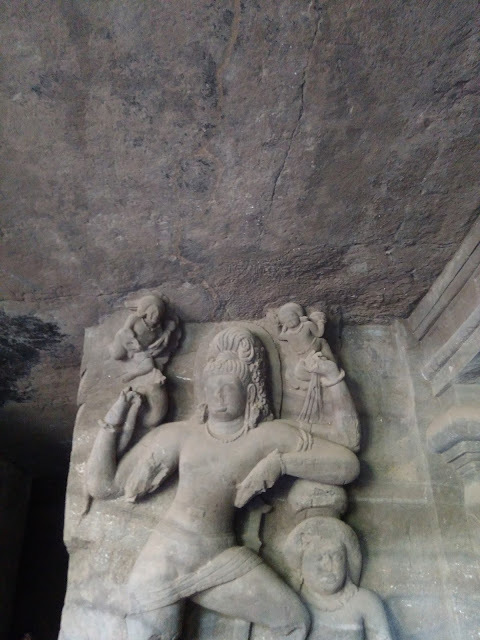 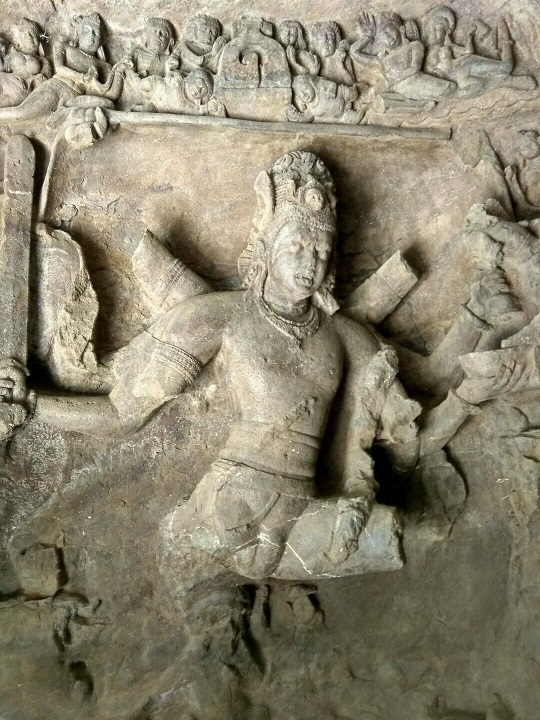 There many different carvings inside these caves such as Ravana lifting mount Kailash, Shiva-Parvati on Kailash, wedding of Shiva etc. 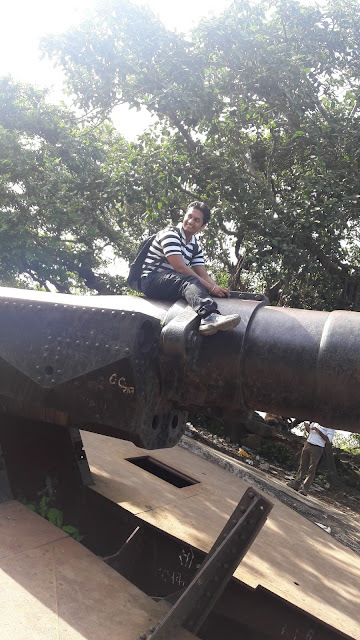 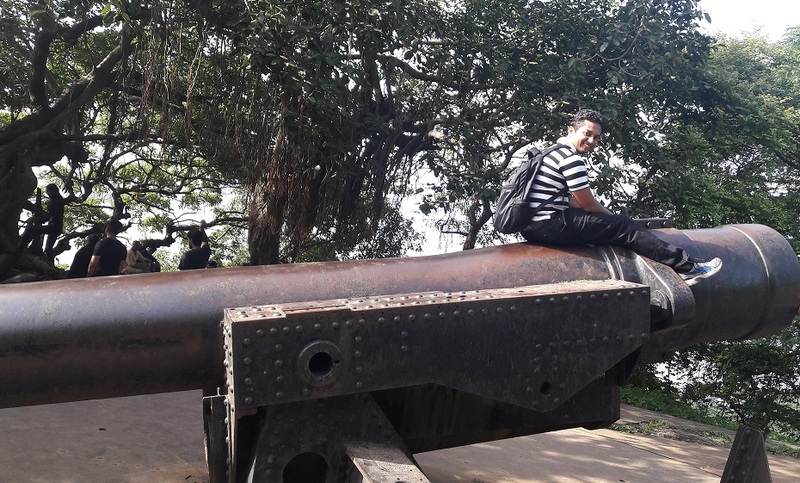 As you climb upwards from the caves there are many different points from where the Portugese used to have a look on its different foes and where we found this huge cannon. 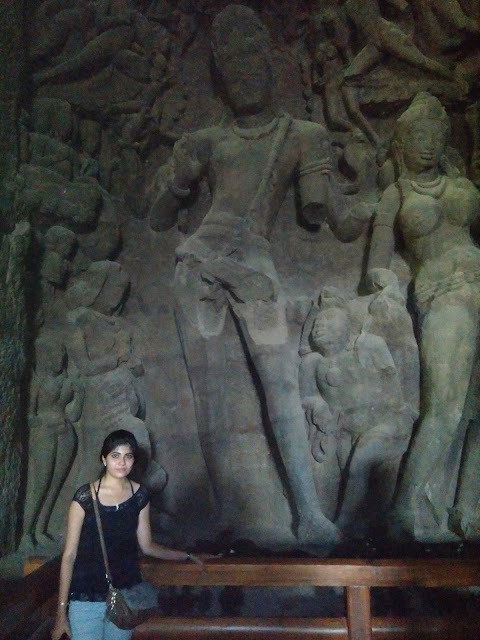 When you see these sculptures and the surrounding environment you might get lost in an era when these sculptures were built. But don’t worry you will immediately return to your original state when you leave these caves, caves whose origin and construction is still a mystery. Follow the link to know more about this WORLD HERITAGE site. 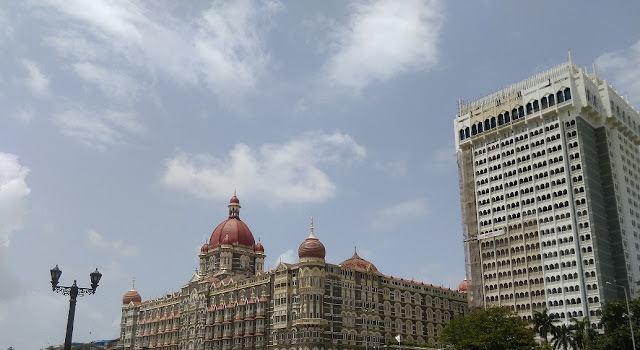 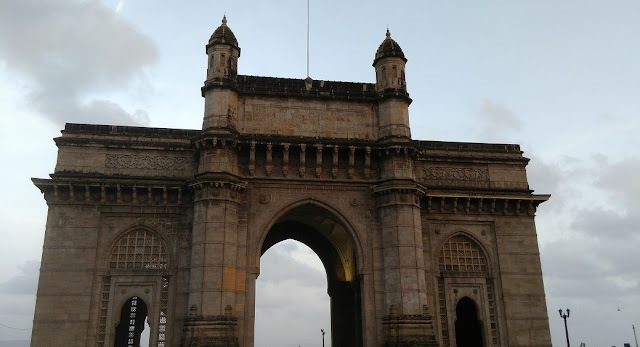 After we returned from Island we spent a quality time near the Gate Way and Hotel Taj Mahal Palace feeding birds and clicking and photos and hearing nice symphonies played by a musician. The elephanta caves are closed on Mondays and the first boat for Elephanta leaves Gateway of India ferry point at 9 am. 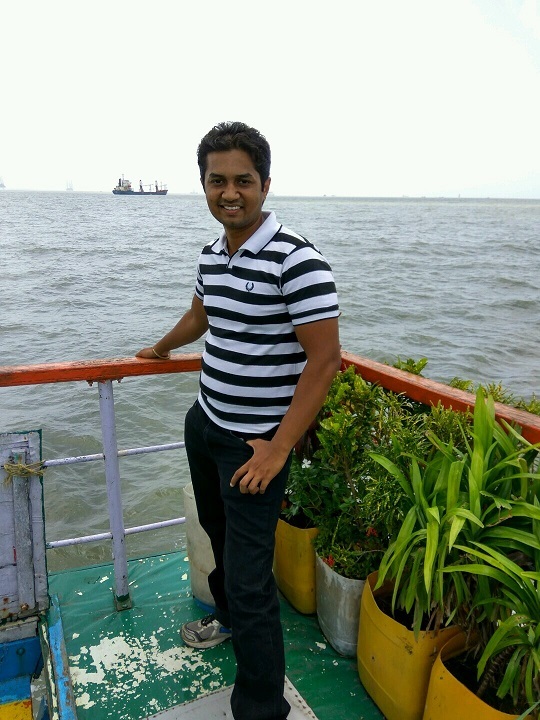 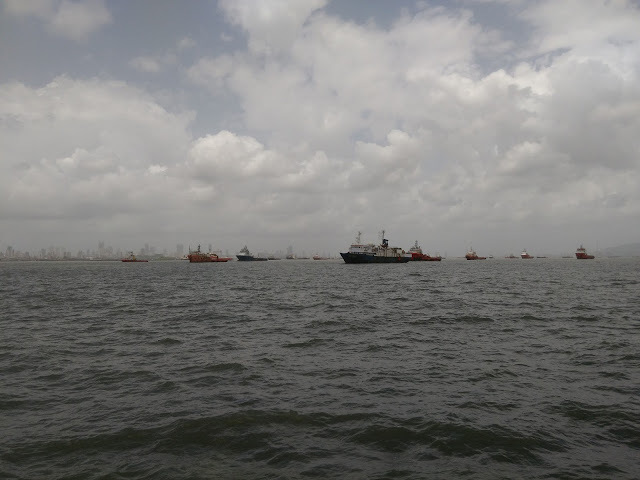 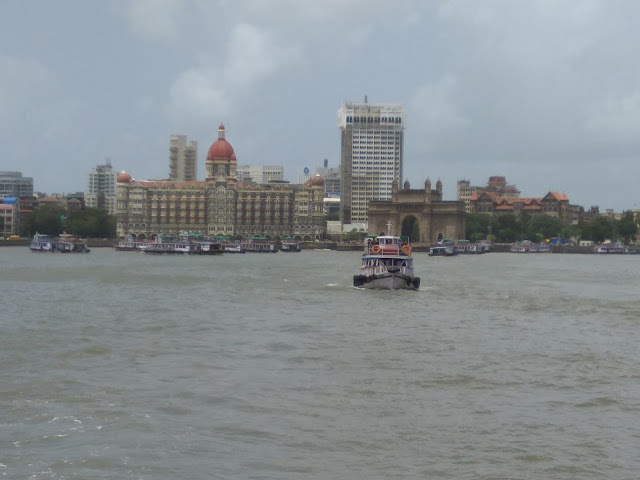 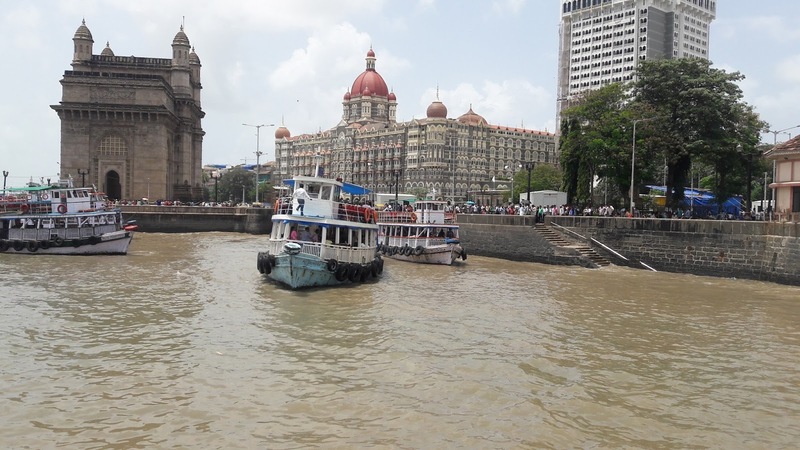 The first return boat leaves from Elephanta island at 12 noon and the last return boat leaves at 5.30pm from Elephanta. 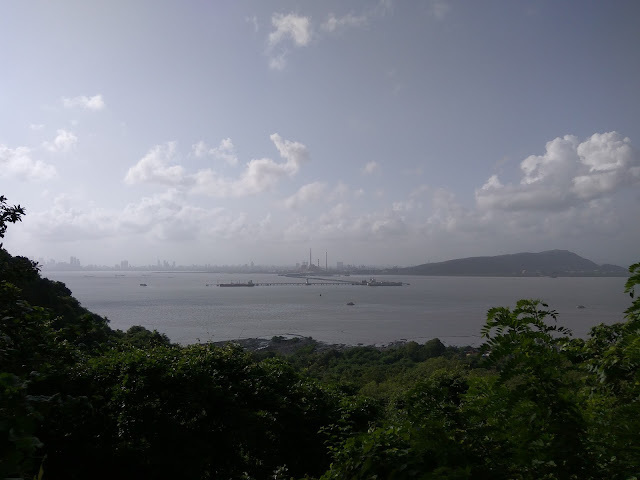 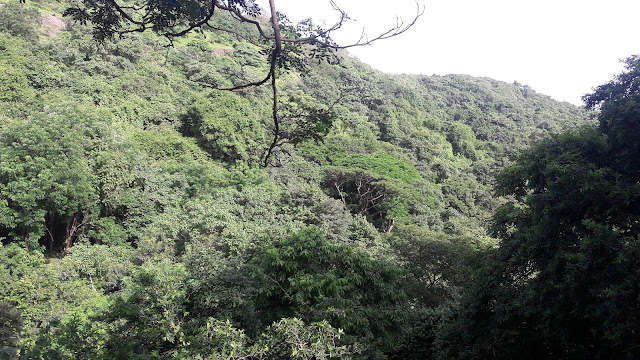 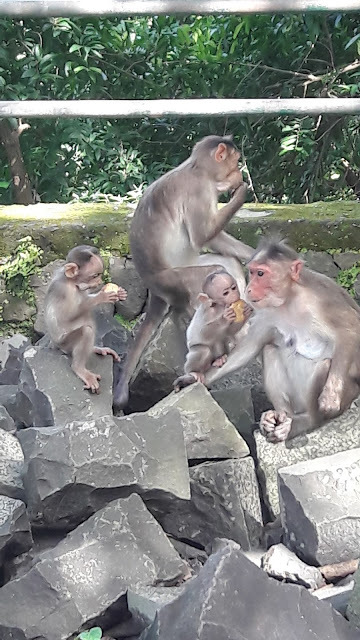 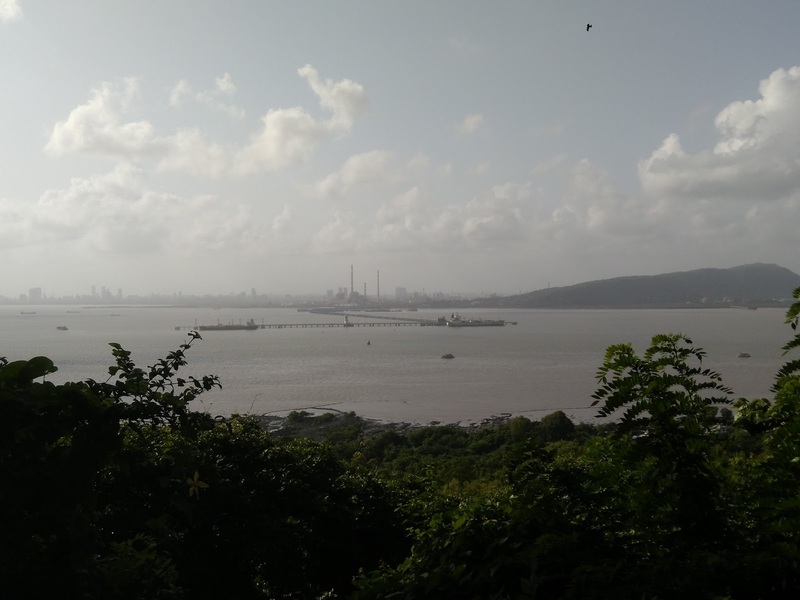 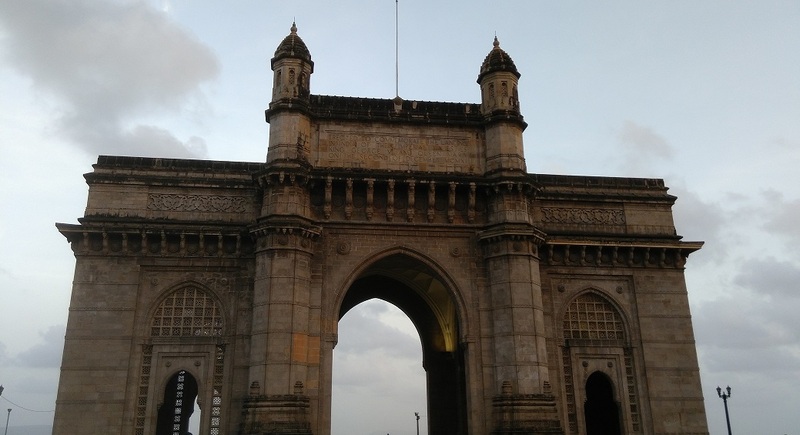 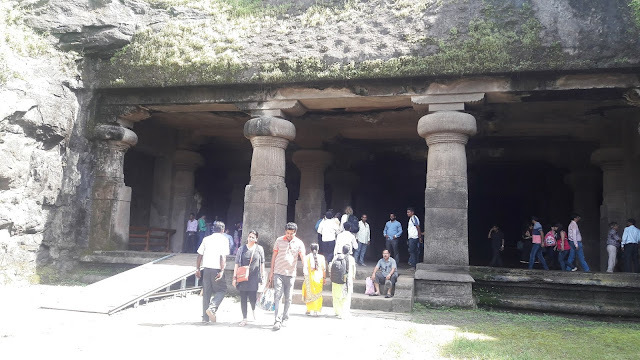 So these caves comes in the list of "Top places to visit in Mumbai"
Do visit these caves if you happen to visit Mumbai, till then keep Monkeying around and stay in touch.